If It's Hip, It's Here (Archives): Bold, Even For A Baller. 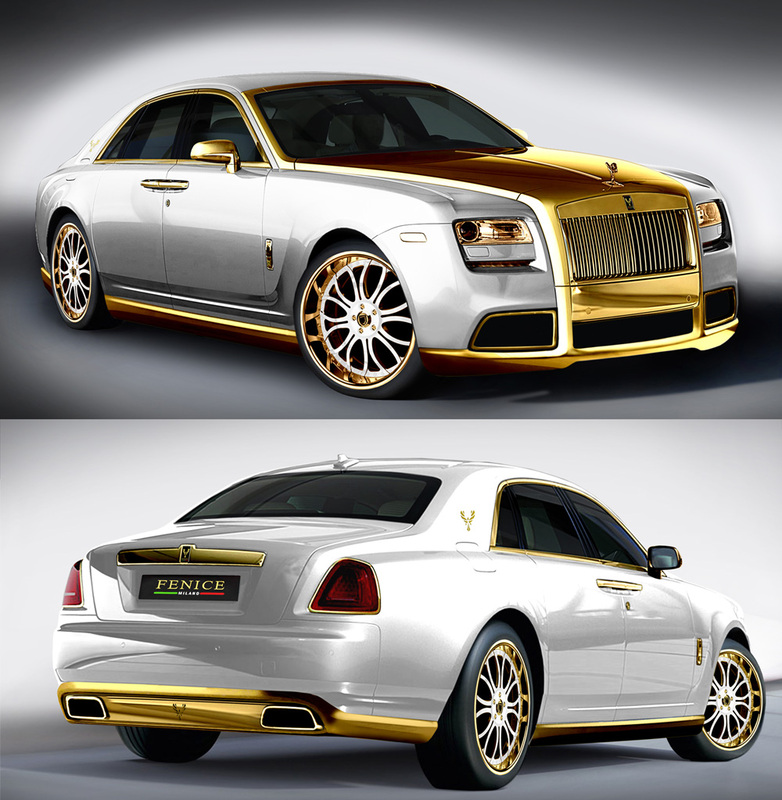 The Fenice Rolls Royce Ghost 'Diva' Has Lots Of 24k Gold. Bold, Even For A Baller. The Fenice Rolls Royce Ghost 'Diva' Has Lots Of 24k Gold. Had I named this blog If It's Tasteful, It's Here, I wouldn't be able to bring you the news of the Limited Edition Rolls Royce Ghost 'Diva'. 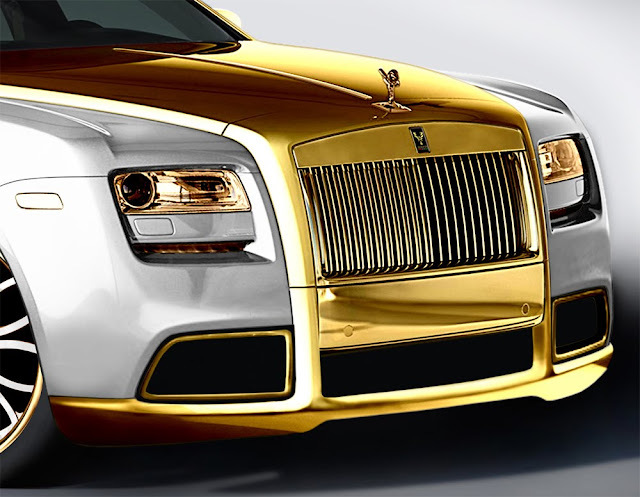 If you thought gold packages (the gold-plated trim option on some cars) were ostentatious, they are downright subtle in comparison to these outrageously 24k gold accented versions of the Rolls Royce Ghost, courtesy of Fenice Milan. 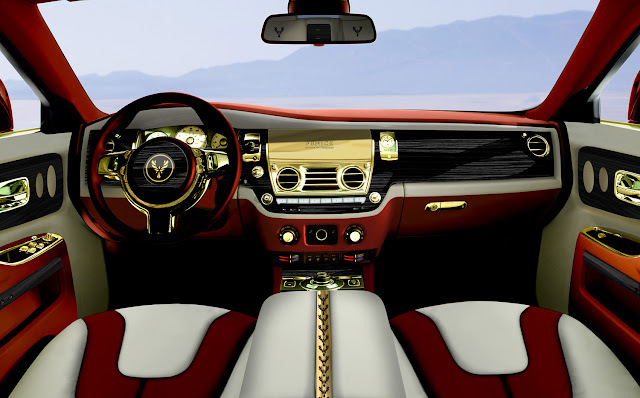 The luxury automobiles, available in three colors, are embellished with 24k gold grills*, hoods, window trim, side mirrors, door handles, wheels and fenders on the exterior. 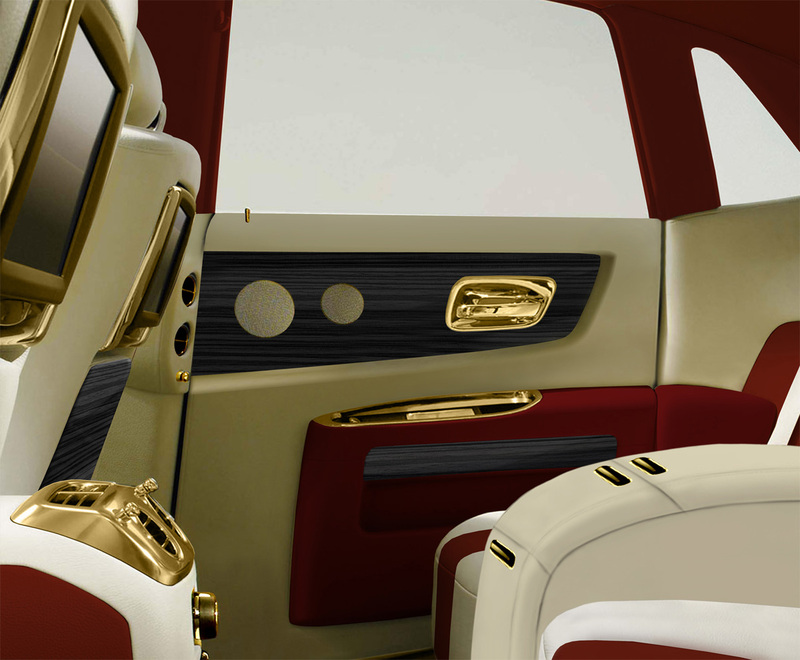 Inside, numerous 24k gold inserts and grey oak or teak wood can be found. Various combinations for the three colors are explained (with images) in the following press release. 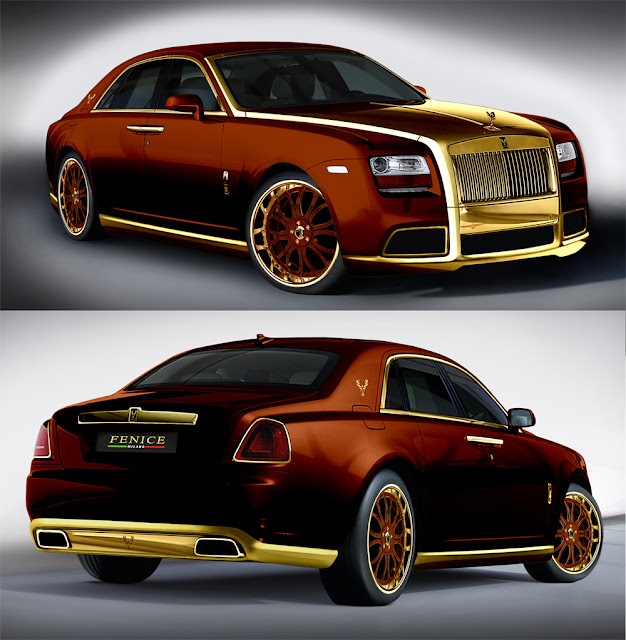 *The 24k gold grills, hoods and fenders are available in chromed bronze for those who, you know, want to save a few bucks. Everlasting synonym of class, elegance and perfect English style, Rolls Royce has become through the years the brand of celebrities and of all major international politicians. 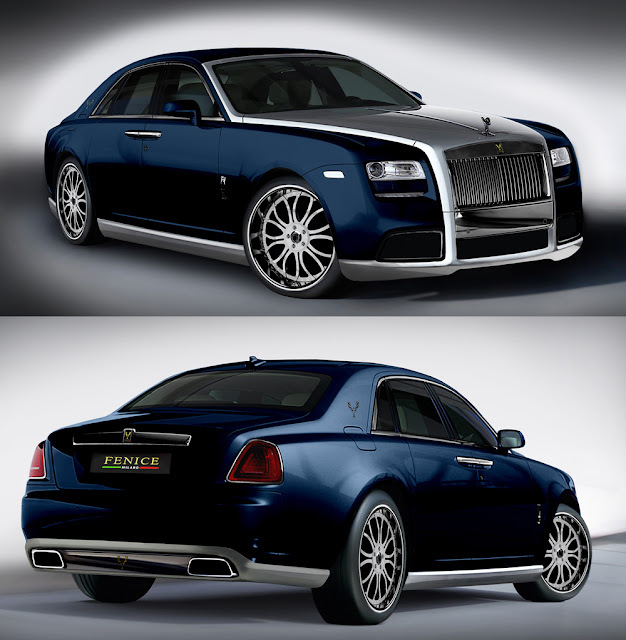 In 2009, to meet the market’s modern request, the renowned English manufacturer launched the Ghost model. The 'baby' Rolls (it is only 540 cm long) has a less formal look compared to her bigger sisters, but it doesn't abandon the typical pride of the flagships boasted with the 'Spirit of Ecstasy', the famous little statue on the front. 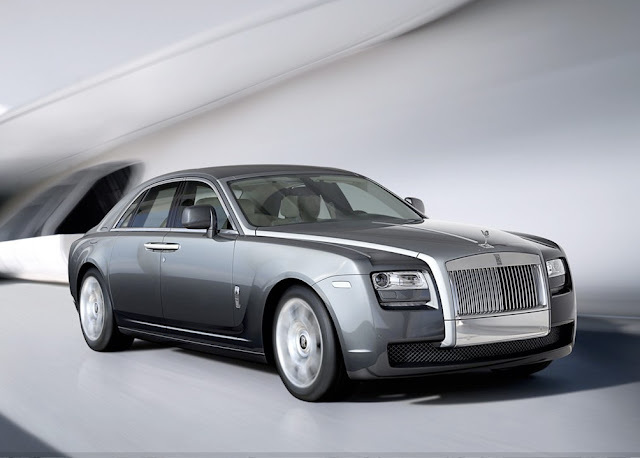 Moreover its sporty character is supported by the 12V engine 570 Hp that make of her the more powerful Rolls ever built, able to accelerate from 0 to 100 Km/h in only 4.9 seconds. 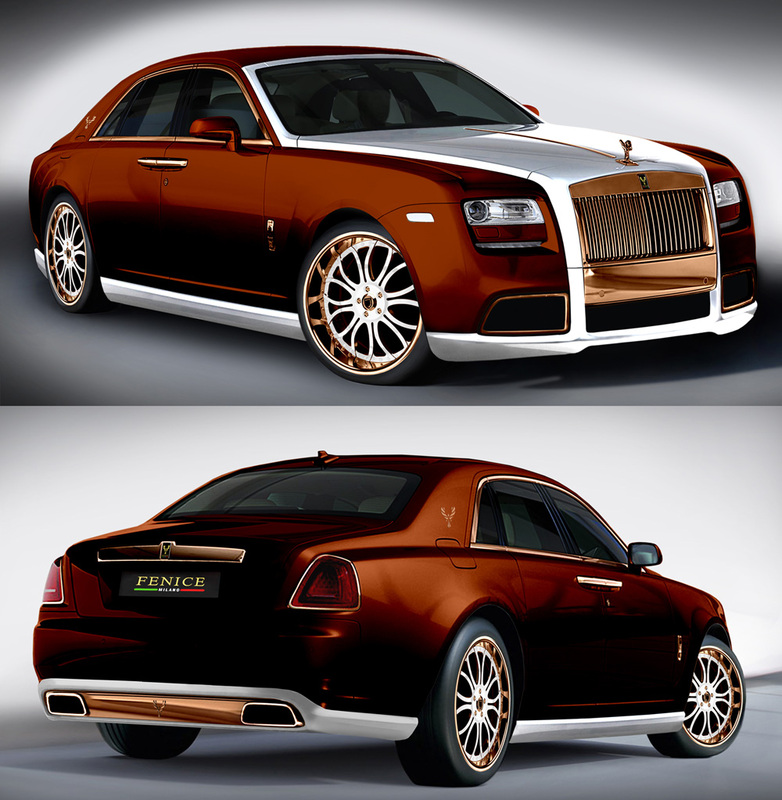 To begin with the exterior, 'Diva' is proposed in three elegant versions with a bi‐colour livery: from the classic blue-navy, to the delicious bronze and the luxury limited edition white golden pearlescent varnishing that includes particles in 24K gold. For the navy‐blue version, the bonnet and fender are in white golden pearlescent varnishing and chromed frontal grid; while for the white version the bonnet, fender and grid are in 24K gold. 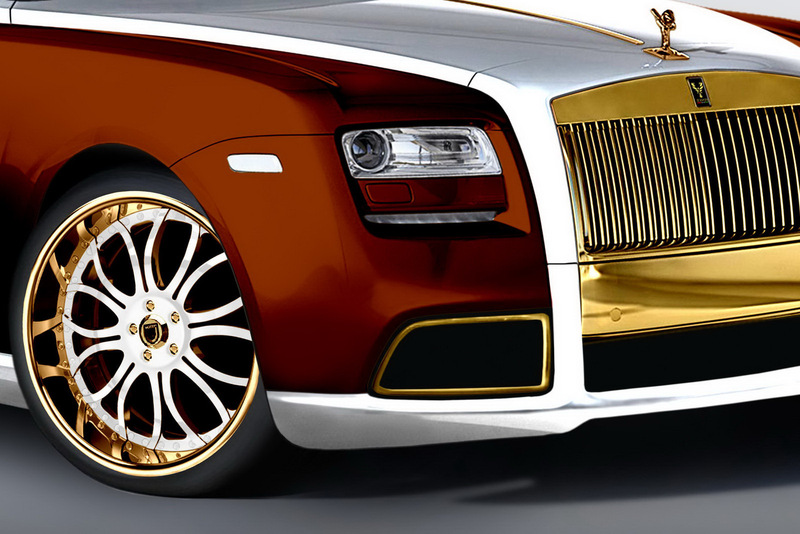 For the bronze version, instead, three combinations are available: bonnet, fender and grid in 24K gold, or bonnet and fender in white golden pearlescent varnishing and grid in 24K gold or chromed bronze grid. 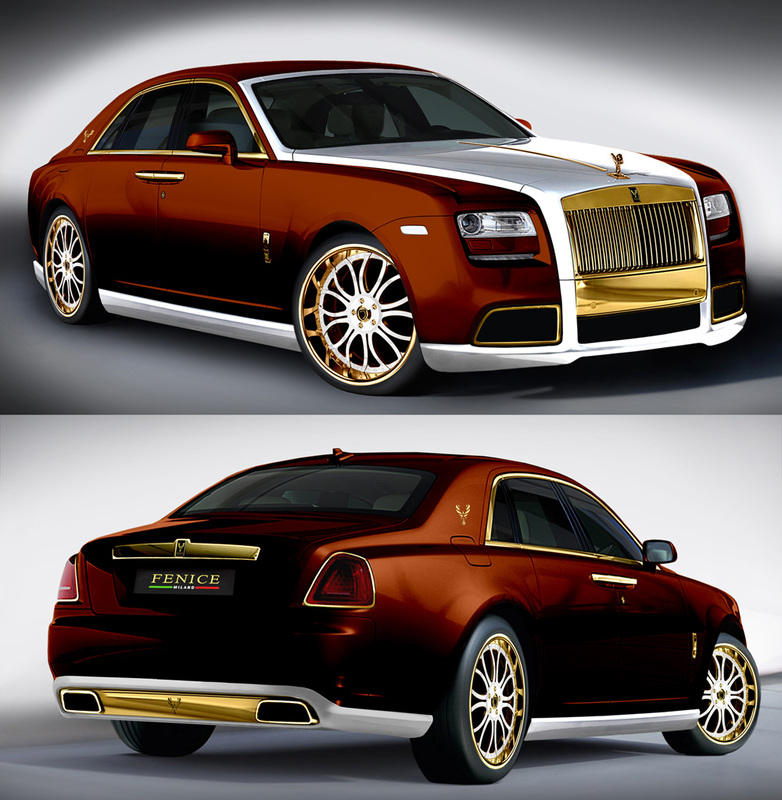 Inside the console design has been maintained, but a few enhancements are provided, which due to the use of fine materials, make 'Diva' the most exclusive car available on the market. 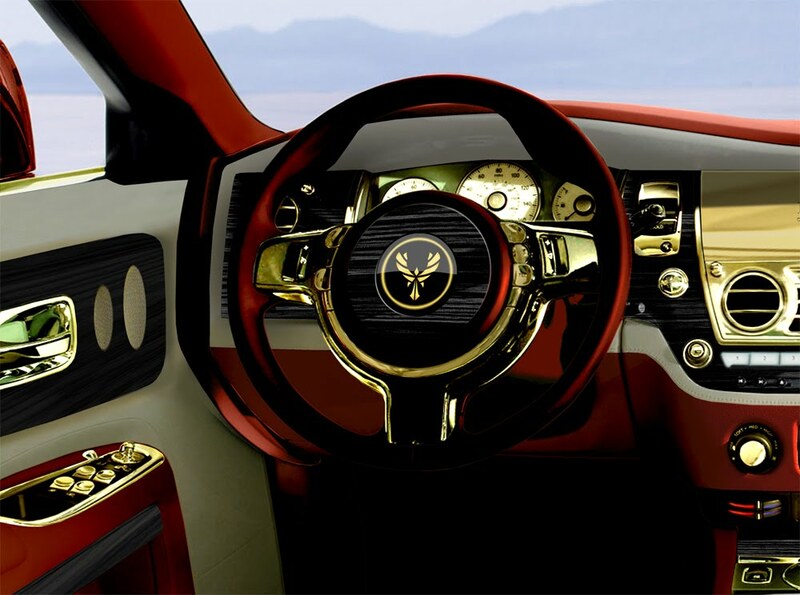 The dashboard and the passenger compartment are in biscuit‐coloured leather and wood (teak or grey oak) and include white or bronze Alcantara profiles and inserts in 24K gold, whose outlines have been hand shaped by Fenice Milano's artisans. 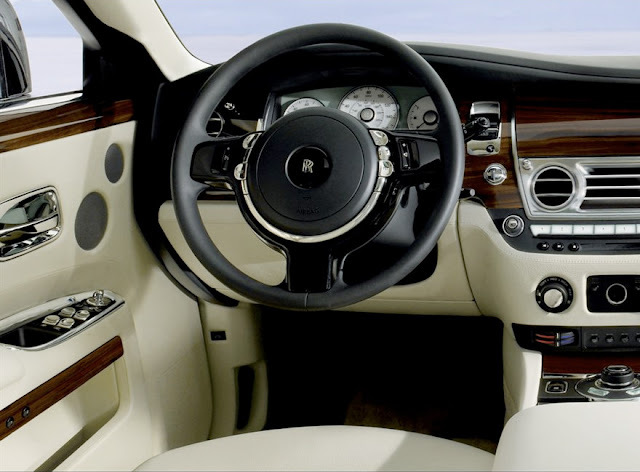 The wheel, redesigned starting from the original one, has the crown covered in biscuit‐coloured leather and the central part in 24K gold and wood (teak or grey oak). Also the seats take inspiration from the original ones, but are redesigned following ergonomic principles and realized in white combined with biscuit‐coloured pure leather (alternatively a version with biscuit‐coloured pure leather coupled with bronze Alcantara seats is available), and like in the original car the picnic tables and the integrated minibar with glass holders have been maintained and realized in 24K gold. As it happens for all Fenice Milano’s project, also for 'Diva' the aesthetic embellishments are coupled with technical interventions, able to improve the performances of the base model. The ECU upgrade, the suspensions adjustment and the optimization of the exhaust and suction system guarantee in fact notably superior performances and even more comfort onboard. 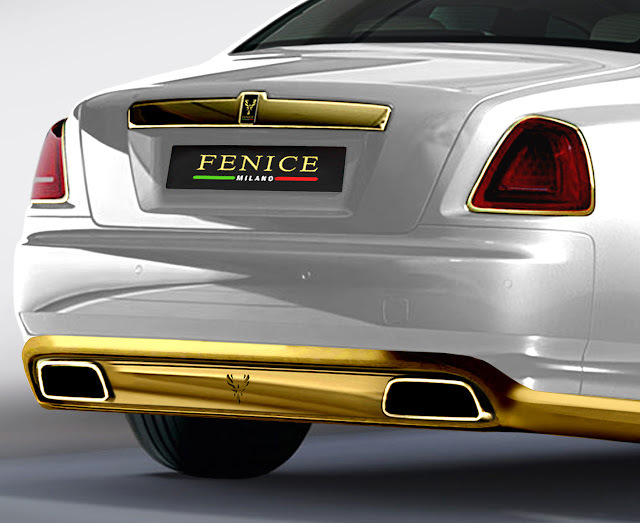 Fenice Milano is a project born in 2008 from the intuition of a young entrepreneur,who decided to invest in the development of an activity in line with the tendencies of the actual market. Symbol of freedom and independence, the car represents nowadays a mean through which we can express our individuality. In a period in which luxury is not affected by crisis and the quality of high‐end products is considered a main feature, the difference is made by personalization and by the emotions that the product is able to inspire in the person who chooses to buy it. 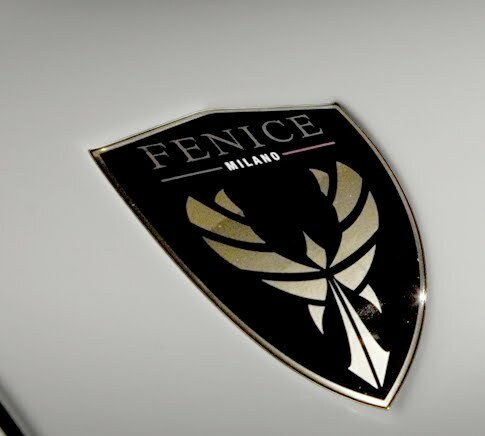 Strong of a thirty‐years experience in the activity of modeling and realization of special components for private and racing cars, Fenice Milano enters the market of luxury cars customization today, offering its clients the chance to make of their car a concrete realization of their personal spirit. Exactly like one chooses the furnishing for their own living room, it becomes possible to make unique a car that, although already entering the market with a high level of personalization, nonetheless suffers a natural degree of alignment caused by production in series. 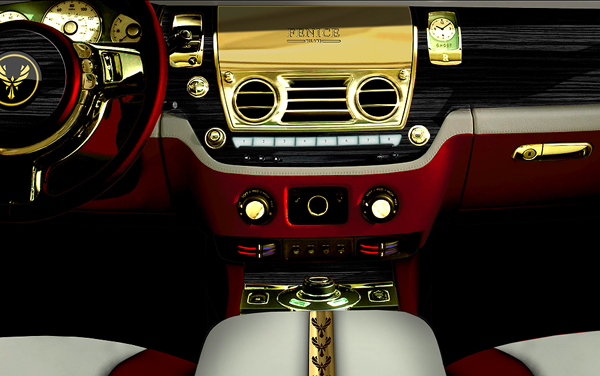 Trusty to the concept of an automotive 'Sartoria' (tailor in Italian), Fenice Milano doesn't produce cars, but true art oeuvres hand made by its expert artisans and 'sewn' onto the client. An artisanal reality, where 30‐years experienced professionals work closely with young specialists interested in the new technologies and where all the processes, from the technical and stylistic project to the varnishing and the plumbing, from the disassembly to the replacement of accessories and the finishing are carried out rigorously with a particular attention to details, which make the difference. 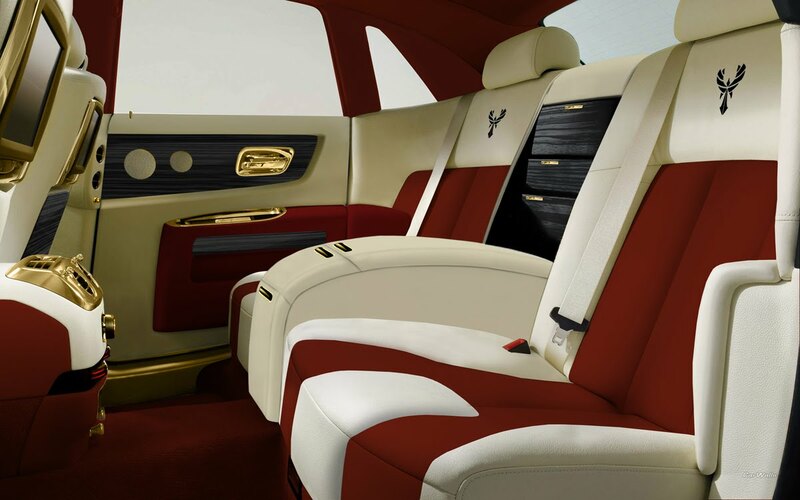 The choice to present fine materials like gold and teak, coupled with the most innovative electronic and technical instrumentation matches the request of the markets, above all of middle‐eastern and Russian, that are always looking for products representing the best available on the market. All the projects are studied to offer different solutions that could anticipate the clients' needs, making the car of their dreams even more precious thus maintaining an elegant and refined style, immediately recognizable as Made in Italy. After the realization of the very first project based on a Ferrari 360 Modena named 'Su Misura F101', Fenice Milano has projected many others to launch. Among these is the model 'La Dolce Vita' Fenice Milano ‐ a restyling of the new Fiat 500C born to answer the request of those who are looking for the maximum exclusivity and elegance in a "fashionable" car ‐ and 'Diva', a touch of Italian elegance and style able to make the original Rolls Royce Ghost a true masterpiece with an even stronger personality. The 'Diva' by Fenice Milano is produced in a limited quantity (Thank God). I think the gold is super tacky. 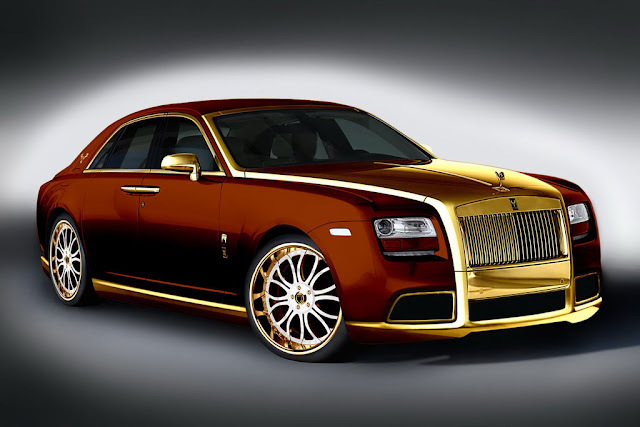 I heard the stat the other day that RR sales have gone up by 200% in the last year in Dubai! (No mention of numbers tho - could be from 2 to 4 for all we know). Looks like RR are doing a good job of actively targeting this market. Not to my taste but I know the locals here will love it. PS Love your blog! !